Mariana and team were phenomenal. In my 20+ years managing programs, I would have to say they are in the top 2 DMC's, I've ever partnered with. Proactive, Imaginative, Responsive, Experienced, Detail Oriented, Professional...basically Amazing! Honestly, they are STRONG and I could never thank them enough for all they did to ensure our attendees had a once in a lifetime memorable experience. This was our first experience with ESA thanks to Isabel, who is the constant professional. Her pursuit of our business is commendable. She was right, ESA is the best based on our experience in Peru. If this is any indication on how other ESA destinations operate, then they will always be considered in our RFP process. I look forward to future partnering opportunities. We would like to express our gratitude to you and the entire ESA Chile team for your attention to our many details, during the 2016 Mary Kay Inner Circle European National Sales Director Summit & 2016 Asia Pacific Inner Circle National Sales Director Summit. All our National Sales Directors and Region staff thoroughly enjoyed their experiences during Mary Kay Travel's first incentive to South America. Having returned safely to the UK, I wanted to express my thanks to you and Ana for your fantastic support during the recent Konica Minolta Invitation Trip to Peru. After only 24 hours back in the UK, I have already had a number of thank you emails and letters from fealers to say how much they enjoyed the trip. Machu Picchu was undoubtedly the highlight. Wendy Welsh Event Management prides ourselves on providing high end, top quality events to their clients, with extremely high service levels. We therefor always work in partnership with the best DMC's in any given destination.  Having conducted a site inspection with Carlos and his team from ESA we knew they had the professionalism, ability, drive and pride in delivery that we were looking for, and had no hesitation in signing them up as our partners to work on this very important event. I would like to thank the ESA team for the great job done at the Formula E event in Santiago, Chile and, especially, you. You are an excellent professional with outstanding qualities and skills not always easy to find in the business and the service you provided was just one of the best I've ever seen from a provider, if not the best. I'm pretty sure that you will continue to grow inside the business with those great qualities and hopefully we will be able to work together again.